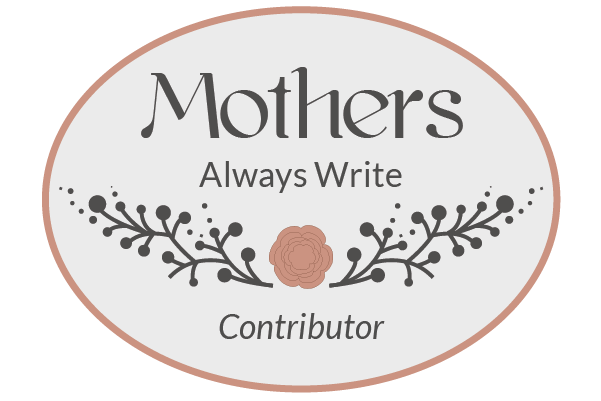 They have many wonderful essays and poems through all the years of being a mom. My oldest had a rough day at school last year. He ended up throwing up in a bathroom and was weaving around the hallways when a teacher who knew him noticed he looked green. She guided him to the nurse’s office and asked him how he was feeling. He replied, “I’m fine,” in a nonchalant and off-handed manner. The teacher was stunned and amused, because he obviously was not fine. When she later told me the story of how this had all played out she felt so bad for him, but also thought it was endearingly funny. I did, too. I think this is the legacy of having a parent with a chronic illness. The boys have seen me throw up suddenly and move on with my day. They’ve known times when I was having trouble walking but still stayed with them at the park after school. They know that a lot of the time I don’t feel great, but I cope as well as I can. They say to listen to your body, and I absolutely do, but I have the added dimension that sometimes my body is a straight-up liar. It sends unnecessary pain signals all the time, it tells me I need a nap when really I need to exercise, it tells me I need tons of sugar when that will make me crash harder. So I ignore it. I power through. I tough it out. But, surprisingly, now my boys also trust me when I tell them that they should probably stay home from school, or see a doctor, or get a flu shot. 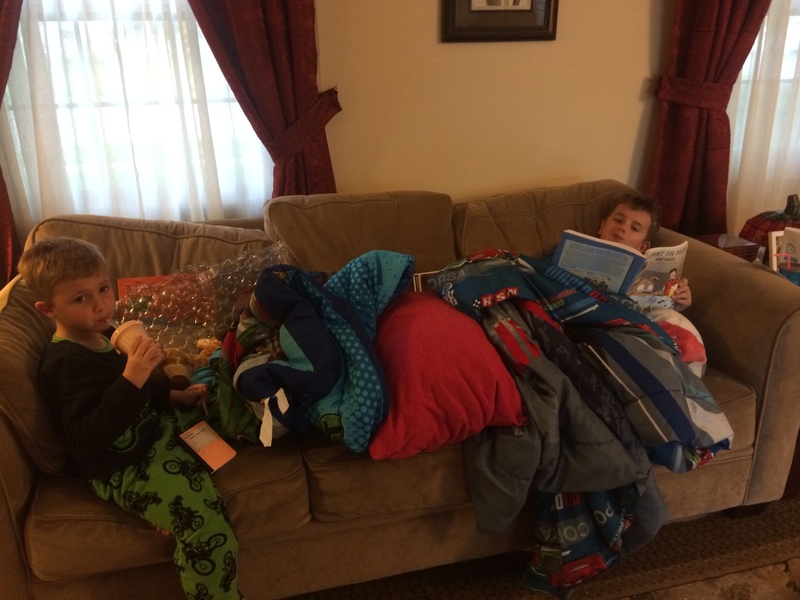 They used to try to tough everything out, going to soccer practice with a fever or pushing and crying for a playdate when they had been up coughing all night. They don’t do that anymore. It doesn’t seem heroic, it seems like suffering unnecessarily. Maybe they’re just older and wiser. Or maybe it’s because of what they see. They see me nap, and rest, and exercise, and check my blood sugar, and prepare healthy food. Taking care of yourself when you are really too sick to power through is absolutely normalized. This is life, this is what people do. We push on when life isn’t that bad, when “it could be a lot worse”. When it gets worse we stop and rest and give our bodies a chance to catch up. Since I have been having such a dysfunctional time of it with my body, I worried that the boys were going to end up with a dysfunctional relationship with their mostly healthy bodies. One day they will be the only ones monitoring the state of their health or illness. They should be off on their own some time ten or fifteen years from now, without a mom to check up on how they really feel. Luckily, I think we are inching towards balance, and I think that is because they have a sick parent, not in spite of it. “Nicholas just opens his drawer and takes whatever shirt!” Christopher is incredulous that his older brother, the one he looks up to, the one who was his first hero and the first person who was able to make him laugh, would be so cavalier about what he would wear. Nicholas truly does not care much about clothing; his daily uniform of t-shirts and track pants changes only on special occasions, when we might be able to get him into jeans and a sweater. Even when he asserted his independence as a toddler, he truly didn’t fight us in the arena of “what to wear”, even though he was a fierce competitor in every other way. So, as he grew through to the eight-year-old he is today, we decided to take advantage of his not really caring all that much. When we go clothes shopping we have a plan that involves multiples of the basketball shorts, track pants and t-shirts he likes to wear. We hit one store for about an hour and a half every six months. Done and done. Christopher gets these hand-me-downs, an extensive collection of not really well-thought-out, functional but not fashionable, interchangeable clothes. For a while he seemed to feel okay about them, as they were comfortable and usually were decorated with cartoon characters he liked. Then it wasn’t okay. Then came the showdown. It was before a gymnastics class in the dead of winter. With polar vortexes and sub-zero temperatures, we would layer up like crazy before heading out somewhere. That particular day he had on thick socks, boots, long track pants, a long-sleeved t-shirt, a hoodie, a double-layered overcoat, a hat, a pair of gloves and a scarf. Once inside the too-warm gym, (an environment well suited to keeping muscles from cramping and keeping little girls in leotards from getting a chill, but horrible for wearing sweatshirts) he took off his jacket and gloves but would not take off his hoodie. The flow of our morning stalled, and I was not thrilled about the ramifications of his refusal. Christopher can be incredibly stubborn, and we had been having a long winter of uneasy truces. I was picking this battle, and would see it through. An anguished growl half under his breath. What football had to do with anything I could not figure out. Then I realized that in a rush I had grabbed clothes for him that morning. We had little time to quibble about what he might or might not want to wear, so I ran upstairs, grabbed his brown track pants and the only brown shirt that went with them. The brown shirt had orange cleats on it and proudly proclaimed just one word in all caps “FOOTBALL”. And apparently my youngest does not like football. And apparently he is very, very tired of misrepresenting who he is and what he likes. Because his options are limited to what his older brother liked just well enough to shove into a shopping cart two years ago, Christopher has had to lie about who he was. Our clothes communicate for us, and Christopher couldn’t take this miscommunication any more. There have only been a handful of times in Christopher’s life that I have seen his face light up the way it did in the midst of the menswear section that day. A new possibility flashed into his consciousness that had seemed remote and unattainable before, and now he was told that not only did these clothes exist, but that he could get them for himself right then. There would be no waiting to see if a better coupon came in next week, no declaration that he probably didn’t need any more clothes because he had enough. I took his hand and guided him to the boys section of clothing, wooshing past the hoodies and track pants and athletic-themed t-shirts and right to the dress clothes put out for Easter. “Here we are!” I declared triumphantly and here we were. We loaded our arms with multiple colors of dress shirts, a bouquet of clip-on ties and a couple of pairs of slacks and marched right over to the dressing room. 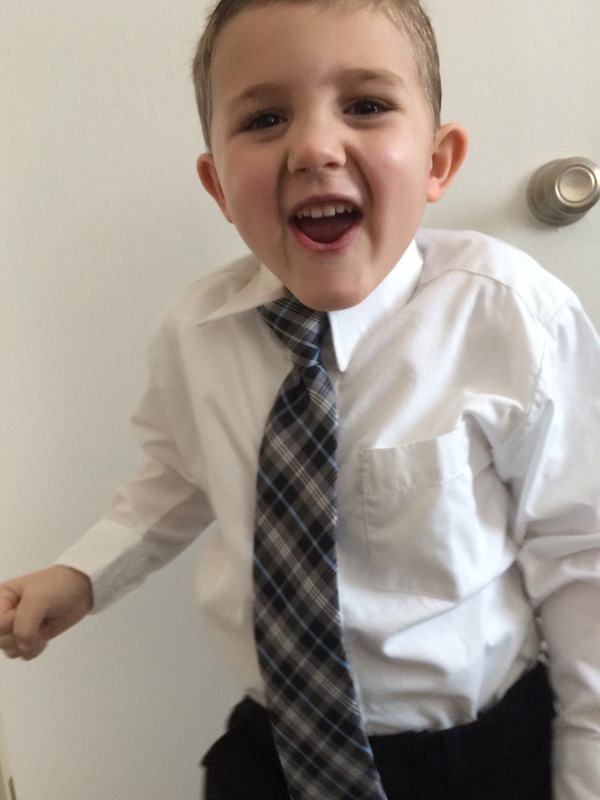 I felt nervously excited as I helped button him up, as I tucked his shirt into his pants and clipped on his tie. He stepped back for a moment, looked himself over top to bottom and smiled, a huge, broad, unbelievable smile. He was amazed with himself, with the transformation he had gone through in the space of a minute. He pouted his lips and grabbed the knot of the tie with one hand, the length with his other and straightened it saying, “Men do this.” I covered my mouth with my hands and let my eyes keep smiling at him, “Yes they do, they do that.” A moment later he straightened his shoulders and said proudly, “I look like a scientist.” I suppressed a little laugh because I didn’t want him for a second to believe I was laughing at him, but my heart was jumping out of my chest. I had not realized that he had been quietly studying the clothing of the grown men around him, admiring how they held themselves and what their clothes represented. I hadn’t realized how completely happy he would be to wear that himself. We left that day with white undershirts, three dress shirts in light blue, burgundy and white, five different ties, a pair of black slacks and a Lego watch, because his new mature look would have been incomplete without a watch. We left the store with a very, very happy five-year-old.